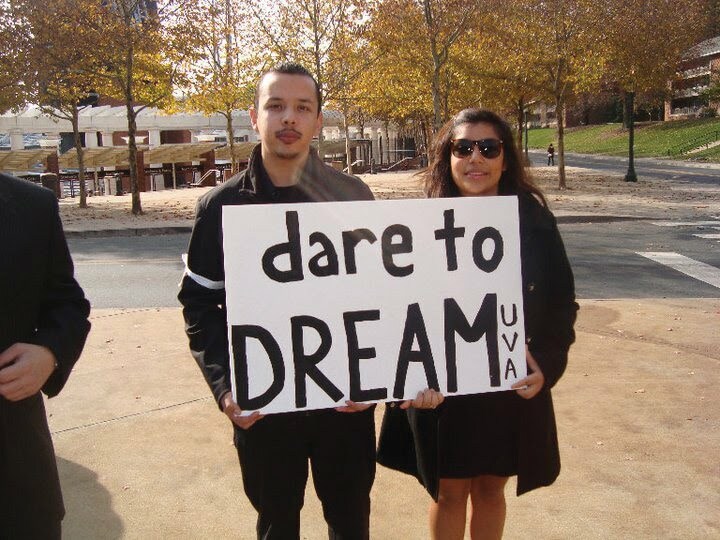 Latino students at the University of Virginia hold a silent march to support the DREAM Act. Photo courtesy Latino Student Alliance / University of Virginia. See "DREAM Act supporters arrested at Texas Senator Hutchison's office," Below. OAKLAND, California -- This week, if Senator Harry Reid keeps his word, Congress may get a chance to vote on the DREAM Act. First introduced in 2003, the bill would allow undocumented students graduating from a U.S. high school to apply for permanent residence if they complete two years of college or serve two years in the U.S. military. Estimates are that it would enable over 800,000 young people to gain legal status, and eventual citizenship. A vote in Congress would be a tribute to thousands of these young "sin papeles," or people without papers . For seven years they've marched, sat-in, written letters and mastered every civil rights tactic in the book to get their bill onto the Washington, DC agenda. hey were, in fact, arrested and held in detention overnight. Then a judge recognized the obvious. These were not "aliens" who might flee if they were released from detention, but political activists who were doing their best not only to stay in the country, but to do so as visibly as possible. Reid owes his tiny margin of victory in Nevada's election to an outpouring of Latino votes. Since he announced he'd bring the bill to the floor of Congress, more students have begun a hunger strike at the University of Texas in Austin. They insist they won't eat until Senator Kay Bailey Hutchinson renounces her opposition to the DREAM Act. First their fast spread to campuses across Texas. Then students in other parts of the country announced they too would act when Reid calls the bill up for a vote. But the DREAM Act campaigners have done more than get a vote in Washington, no matter how that may turn out. They've learned to use their activism to stop deportations. Further, they did this in an era when more people have been deported -- 400,000 last year alone -- than ever before in this country's history. To highlight the connection between the bill and their challenge to the rising wave of deportations, four undocumented students walked for weeks from Miami to Washington in protest. In the process, they learned the lesson the civil rights movement of the 60s' taught activists of an earlier generation: Congress and Washington's political class can be forced to respond to social movements outside the capitol. When those movements grow and make themselves felt, they can win legislation, and even more. People in the streets can change the conditions in their own communities. DREAM Act activists, by stopping deportations even in the absence of Congressional action, have made possible what political insiders held to be impossible. Fredd Reyes. Photo from Facebook. Fredd Reyes is living proof. This week he came back to North Carolina for Thanksgiving. He was picked up last September as he was studying for exams at Guilford Technical Community College, and taken first to the North Georgia Detention Center, and then to the Stewart Center in Lumpkin, Georgia. Fredd's parents fled the massacres of Guatemala counter-insurgency war of the 1980s, when President Ronald Reagan gave guns to that country's military, which they then turned on indigenous communities seeking social justice. Fredd was a toddler then. DREAM Act students mobilized, and got Fredd sprung loose. Jennifer Abreu had her Thanksgiving in Kentucky. She came to the U.S. with her parents when she was 13. She graduated from Lafayette High School in Lexington, where she became an activist, performed Brazilian and Colombian dances at fiestas and dreamt of life as a journalist. ICE picked her up, but a campaign by DREAM Act students and their supporters set her free too. And in San Francisco, activists won freedom for Shing Ma "Steve" Li, a nursing student at San Francisco Community College. Immigration authorities detained him on September 15, igniting a lightening effort to stop his deportation. As the DREAM Act moved closer to a vote in Congress, he also became a living symbol for the national campaign to pass the bill. Shing Ma "Steve" Li. Photo from America's Voice. Li's predicament was dramatic and unusual. His parents emigrated from China to Peru, where Li was born. They later came to the U.S., where their petition for political asylum was denied. That made Li an undocumented immigrant, although as he went through San Francisco public schools, he had no knowledge of his status. Last year, however, as the net of immigration enforcement was cast more widely than ever, Li and his mother were arrested. She was bailed out of detention, and now awaits deportation to China. But Steve Li was shipped to a detention center in Florence, Arizona, from which he would have been flown to Peru, where he was born. He has no relatives or family connections there at all. John Morton, director for Immigration and Customs Enforcement at the Department of Homeland Security, told the media that picking up students for deportation was at the bottom of the government's priority list. "So why are they nabbing highly-motivated students? Why has Steve been in jail for the past 60 days?" 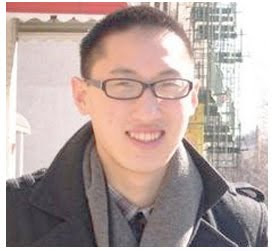 asked Sang Chi, Li's Asian American studies instructor last year, at a rally on Li's behalf. The union for teachers at the community college, AFT Local 2121, became part of a broad effort to win Li's release before he was put on the plane to South America. The case became a cause célèbre for the Asian Law Caucus, the Chinese Progressive Association, and other organizations in the city's Asian community. The city Board of Supervisors and the college's Board of Trustees both passed resolutions opposing the deportation. "We've made over 1,000 calls," Daniel Tay, a fellow nursing student who emigrated from Peru two years ago, told reporter Rupa Dev. Finally, Senator Diane Feinstein introduced a private bill that would grant Li permanent residence status. Li was then freed by ICE, and returned to San Francisco. His freedom is not permanent, however, but lasts for just 75 days following the end of the current Congressional session. Private bills granting an individual legal status are rarely passed. Of the 29 introduced by Feinstein since 1997, only four have passed, and in the anti-immigrant climate of the incoming Congress, passage of Li's bill is unlikely. For Li and his supporters, however, although they're grateful that he's not in Lima, the private bill is not the answer. "As long as I'm here and able to use my voice and help myself and all those people in the same situation, I don't feel like it's a countdown," he told reporter Jessica Kwong. "It's just one step closer toward the Dream Act." Recalling the other young people he met in the Arizona detention center, he said, "their stories and faces will be with me for the rest of my life." Without passage of the DREAM Act, "thousands of students are threatened with deportation, which is a tremendous waste of resources," says Kent Wong, vice-president of the California Federation of Teachers, director of the UCLA Center for Labor Research and Education, and one of the national organizers of the DREAM Act campaign. Many undocumented students, however, can't get into colleges although they've graduated from U.S. high schools with excellent grades, because they're either barred directly by lack of legal status, or can't qualify for the financial aid that other students can receive. Undocumented students come overwhelmingly from working-class families. When it was originally written, the bill would have allowed young people to qualify for legalization with 900 hours of community service, as an alternative to attending college, which many can't afford. However, when the bill was introduced, the Pentagon pressured to substitute military for community service. Many young activists are torn by this provision. 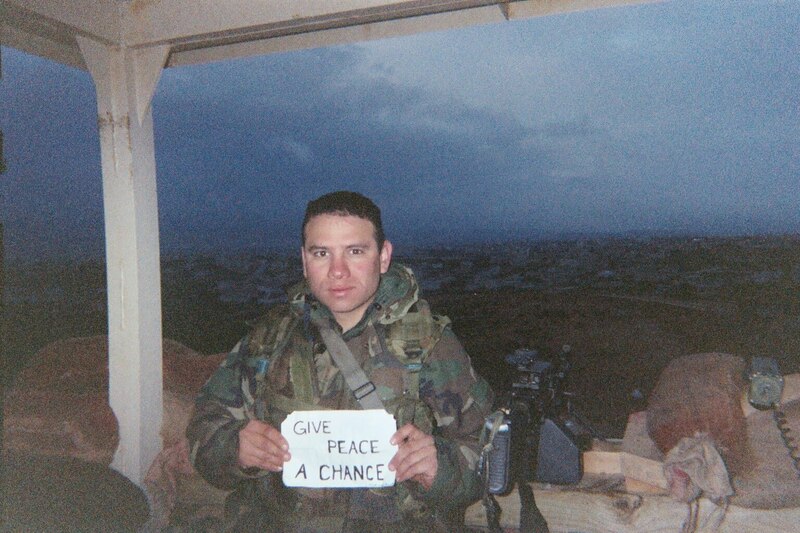 Conscientious objector Camilo Mejia. Photo from American Documentary. Camilo Mejia, the first GI who served in Iraq to have publicly resisted the war, was imprisoned for almost a year for refusing to go back. Mejia says the country already uses a "poverty draft" to fill the military with young people who have no jobs and no money for higher education. In a debate on Democracy Now!, he said, "[The military is] in a position to offer to the vast majority of these 65,000 [immigrant] students who graduate every year, to say, 'Come over here. We will teach you English. We will give you housing. We'll give you a steady paycheck. We'll give you all these things, if you serve in the military.'" Rishi Singh, of Desis Rising Up and Moving, added "many of our families can't afford to send us to college. And, you know, for many of our young people, there would be no other choice but to join the military." Debating him, undocumented former student Gabriela Pacheco said, "with the conditional residency, you are going to be able to work. Students might be able to find ways to cost and pay for their college and university." "undocumented youth are in an increasingly desperate situation... With legal status as a goal, many who otherwise might have dropped out of school could be motivated to graduate and enroll in college... Instead let's educate the youth about the injustice of these imperial wars and the historical government practice of putting the poorest and most disenfranchised youth on the front lines. Let's encourage and support them in choosing the college option. Like many DREAM Act supporters, the California Federation of Teachers has called for reinstatement of the community service provision. But it supports the Act regardless. "The Federal Dream Act will establish the important principle that undocumented students can no longer be assigned to a second-class, inferior status and must be treated with respect and dignity," says a resolution adopted by the union in 2009. "We have to remember that for every case like Steve Li's, there are hundreds of other young people who are deported," emphasizes Local 2121 President Alisa Messer. "These are our students. They're doing everything we want young people to do. So we have to fight for their ability to get an education, to support their families, and to participate in society. They're American kids." Many immigrant rights activists also view the DREAM Act as an important step towards a more basic reform of the country's immigration laws. It would not only help students to stay in school, but by giving them legal status, give them the ability to work and use their education after graduation. 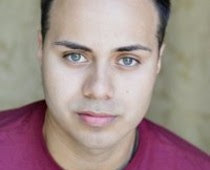 Luis Perez, for instance, the son of working-class parents in Los Angeles, will graduate from UCLA's law school this year and take the bar exam in January. But after that, without legalization, he won't be able to work. The 1986 Immigration Reform and Control Act says employers may only hire workers who are citizens or who have visas that give them "work authorization." The DREAM Act could resolve this problem for undocumented young people graduating from college. But it also highlights the same problem for millions of other undocumented workers who would not be affected by the bill. Twelve million undocumented people live in the U.S., and almost all of them work for a living. The same wave of enforcement that led to the deportation of 400,000 people last year is also targeting undocumented people in the workplace. Thousands of workers have been fired for lack of legal status, and many have even gone to prison because they invented Social Security numbers in order to get a job. Unscrupulous employers have used their lack of status to threaten and terminate workers who protest illegal conditions or try to organize unions. Arizona's law requiring police to stop and hold for deportation any person without legal immigration status is another example of the impact of the immigration enforcement wave -- growing cooperation between law enforcement and immigration authorities. That cooperation produced many of the hundreds of thousands of people detained and deported last year alone. Ending that enforcement program would also require a more extensive immigration reform. So would a real effort to get at the roots of forced migration -- the military interventions, trade agreements and pro-corporate policies that uproot communities in other countries, and make migration a matter of survival. Yet the DREAM Act students have shown that fighting detention and deportation is possible. As they've marched and demonstrated, they've pointed out over and over that stopping the enforcement wave and changing immigration law are so connected that one can't be fought without fighting for the other. In the end, the basic requirement for both is the same -- a social movement of millions of people, willing to take to the streets and the halls of Congress. Listen to Thorne Dreyer's interview with David Bacon on RAG RADIO (originally broadcast on KOOP 91.7 FM in Austin). To listen to other shows on RAG RADIO, go here. See other articles by David Bacon on The Rag Blog. For more articles and images, go to David Bacon, Photographs and Stories. Student on hunger strike at UT Pan American in Edinburg, Texas, speaks out in support of the DREAM act. Image from KVEO NBC 23. SAN ANTONIO -- More than a dozen UTSA [University of Texas at San Antonio] students are under arrest for trespassing at Sen. Kay Bailey Hutchison's district office during a protest in support of the Dream Act. The magistrate's office had custody of the 16 protesters Tuesday morning. They were booked for criminal trespassing. They stuck like glue to her office, and they would have stayed there until police took them away. The group included an ex-city council member, a professor and students. They want the senator to support the Dream Act, which paves the way to citizenship for undocumented students. Cops first arrested the group of ten that formed a human chain in the hallway, and then made their way to the senator's office, where six protesters were engaged in a sit-in.